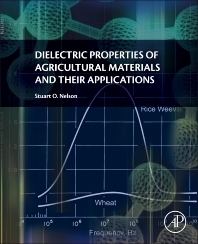 Dielectric Properties of Agricultural Materials and Their Applications provides an understanding of the fundamental principles governing dielectric properties of materials, describes methods for measuring such properties, and discusses many applications explored for solving industry problems. The information in this reference stimulates new research for solving problems associated with production, handling, and processing of agricultural and food products. Anyone seeking a better understanding of dielectric properties of materials and application of radio-frequency and microwave electromagnetic energy for solution of problems in agriculture and related fields will find this an essential resource. Research engineers and scientists in university, government, and private industry sectors, graduate students and undergraduate students interested in new applications for the solution of agricultural and related problems. Agricultural and Biological Engineers.